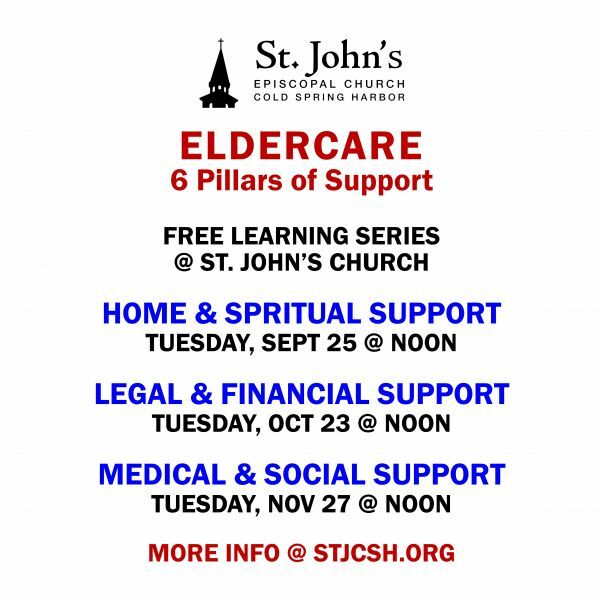 Join us for the third and final session of the 3-part series on Medical Support and Social Support in Eldercare. You bring a bag lunch, and we'll provide beverages and dessert treats. All welcome - bring a friend! This series is sponsored by St. John's Aging in Place. For more information, please contact [email protected].